Not much is heard regarding Colombia’s tourism industry not until recently when visitors started feeling secure when traveling to this part of South America. Being the only South American nation to have been blessed with beaches that front both the Caribbean Sea and the North Pacific Ocean, Colombia made it real great news to have visitors safely travel to its territory without a single ounce of fear or hesitation. 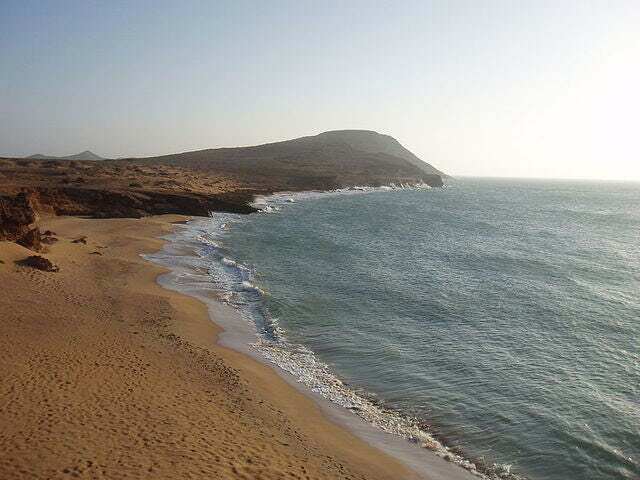 One of the renowned travel destinations in the country is the modest fishing village of Cabo de la Vela, which is uniquely situated on the end of Guajira Desert’s peninsula. Another travel attraction is the northernmost part of both Colombia and South America, namely Punta Gallinas. This is where Lucy Cooke, a travel reporter of Daily Mail UK, headed after she spent a night in a hammock at La Guajira (“Unseen South America: Warriors, Waves and Wild Beaches on a Colombian Adventure”). It is in here where she had seen for herself the remote indigenous tribes, lovely sand dunes and deserts as well as striking beaches that are quite unusual compared to the majority of beaches that she have visited before. The highlight is Taroa, a titanic sand dune that tumbles into the sea. After huffing and puffing our way to the top, we run, laughing hysterically all the time, down the steep slope into the crashing waves below… Dinner is delicious fresh red snapper and coconut rice. With little electricity and no TV, our evening's entertainment is sitting on a porch listening to smugglers' tales. Catch the remainder of her travel article, and learn more about the adventures she experienced before getting to Colombia’s Punta Gallinas. So start preparing for your trip to Colombia today by getting in touch with us!